Dan Chisnell has been a member of Scape Films from the beginning. 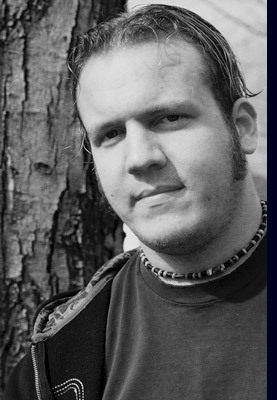 Before Scape Films was officially formed Dan was one of the developers and writers of the Mind’s Playing Tricks On Me films, for which Falling Apart is based on. Dan’s background in films is mostly as an actor and writer. As of May 2012 he is currently in development on a feature film screenplay for 2013 production. Having taken a smaller role in Scape Films over the last several years to pursue a degree in advertising, he returns full force. With an eye for film and a diverse set of talents, Dan adds a certain level of professionalism to Scape Films productions, and is a decent actor to boot.